Another Source’s client, The David Geffen School of Medicine at UCLA (DGSOM), is recruiting an Accounting Manager to join their team. The DGSOM is comprised of 24 academic departments, 5 organized research units, and 5 interdisciplinary research centers and is the academic home to approximately 3200 faculty and 2500 trainees, students and fellows. The DGSOM employs about 6200 staff and non-faculty academics. The DGSOM’s annual revenue totals approximately $2B, its expendable net assets approx. $500M and its endowments and quasi endowments approximately $1.5B. The Accounting Manager is a key member of the Dean’s Office finance team and reports to the DGSOM Controller. S/he oversees all accounting tasks performed by the Financial Affairs Office and manages daily accounting operations performed by the Accounts Payable Specialist team and General Ledger Accountants. S/he ensures that issues are addressed timely and smoothly and is responsible for identifying and leading financial operations process improvement efforts. S/he is responsible for managing staff workload and providing staff with appropriate oversight, guidance, and training/development opportunities. 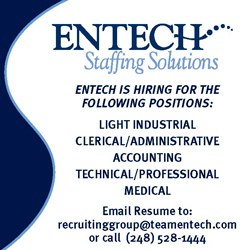 BA/BS with a major in a related field and five years of experience in accounting operations or administrative analysis required. Thorough knowledge of and current hands-on experience with fund accounting and regulatory compliance strongly preferred. Knowledge of GAAP, GASB, and SAS 115. Proven experience as an effective team leader providing direction, motivation, and driving results while maintaining the highest level of standards. Strong analytical and creative problem solving skills; ability to synthesize complex information and develop alternative solutions; works well in group problem-solving situations. Demonstrated commitment to quality and accuracy; looks for ways to improve and promote quality; applies feedback to improve performance; monitors own work to ensure quality. Excellent customer service and interpersonal skills and ability to develop and maintain excellent working relationships with staff and leaders. Ability to communicate effectively, collaboratively, and professionally; including strong writing skills. Team player with a strong desire to learn new skills. Job Categories: Administrative Medicine Jobs. Job Types: Full-Time. Job Tags: Accounting, Management, and manager. Salaries: 100,000 and above.